At DHYS, we operate with the mindset: Play all games until officially canceled/postponed. Any observed lightning is cause for immediate removal of participates to dugouts (away from poles and fences). 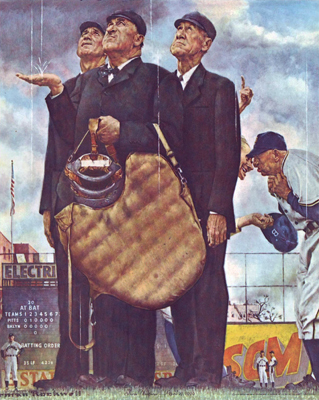 Managers can mutually agree to postpone until game time, after which umpires decide. League Directors decide if managers cannot agree or cancelation is involved or postponement/cancelation is for any other reason other than weather. The HOME TEAM MANAGER has responsibility for notifying umpires, your League Director, and VP of Planning of any cancelations and scheduled make-ups. While we attempt to update the Field Status on the Homepage in a timely manner, we are not always able to. Please ask your team manager at the beginning of the season for his/her notification method to communicate rainouts, for both scheduled practices and games! This system is the fastest and most reliable way to get notified of DHYS weather closures. This service will be used when a significant and time sensitive need arises to communicate to the entire DHYS community. The web site will also be updated but not as quickly as messages generated from the Rained Out service. Most mobile phone carriers charge customers for incoming text messages so be sure to check the details of your mobile phone plan to see if you will incur any charges. All play will be suspended for 30 minutes following the first sighting of lightning. Each successive sighting shall delay the restart by 30 minutes until a complete 30-minute cycle has been completed without a new sighting. At the announcement of a severe weather watch, the organization will prepare to stop play and secure the facilities, including removing to storage all movable equipment i.e., bats, batting helmets, etc. Organization officials shall determine playability and safety of the facility and its users. At the announcement of a severe weather warning - ALL PLAY WILL STOP - all players, spectators, coaches and league official must leave the facility in an orderly manner. The facility will be closed for use until the organization has verified that weather conditions have cleared enabling safe facility usage. Please DO NOT assume a late e-mail or voice message will make contact in time. Please pursue a live contact or request confirmation.